This post originally appeared in December 2005, just one month into my blogging experiment. I’ve enjoyed Eric Wittenberg’s excellent series of posts on his experience researching and publishing Civil War history so I thought it might be helpful to re-post my own experience with peer review for those interested. I should add that since this post I’ve done quite a bit of peer review for a few journals and am currently serving on the editorial advisory board for the Virginia Magazine of History and Biography. Perhaps I will have time at some point to discuss my experience on the other side. set to appear in an edited volume that will be published next fall by the University of Kentucky Press. Both articles have gone through a very rigorous peer review process and since it is my first experience I wanted to take a few moments to reflect on it. The Mahone article has gone through a very stringent set of controls. Once submitted the article was read by the two editors of the journal. I was notified after a few months that the article had been read by the editor and was deemed worthy of being sent out for anonymous peer review. The essay was sent to four readers and within a few months I had their response: “REJECTION.” The paper was rejected for immediate publication; however, I was given the opportunity and encouraged to respond to the reviewers’ comments and resubmit. I have to admit that it took me about a week to drag my ego out of the mud. To make a long story short, the reviewers tore my essay apart. They all agreed that it had redeeming qualities, but it needed serious revision. With a renewed commitment I set out to respond to the critiques. I took a 4-day trip down to Special Collections at Duke to work with the Mahone collection and began rewriting. After about 5 months I had a revised draft ready to send back to the journal with no guarantee that it would be accepted. The essay was drastically revised both in terms of content and thesis. I was pleasantly surprised to learn a few weeks later that the article had been accepted for publication. Thinking that the brunt of the work had been completed I focused on other projects. It was not to be: A few weeks later I received my first email in reference to polishing the prose and clarifying specific analytical points. Arguments that I believed were rock solid were referenced for clarification. A few weeks later another email arrived that focused specifically on the endnotes. Every reference (apart from archival material) had been double-checked to ensure that information was properly accounted for. A number of footnotes had to be confirmed. Additional emails continued to arrive regarding a wide range of questions. I have to admit to being a bit paranoid throughout this process. It seemed reasonable at any moment to expect a phone call or email with the following: “Mr. Levin. . . .we have decided that following through with the publication of your essay is costing us valuable time and mental distress.” Of course I am exaggerating, but this can make you a little nutty first time around. With the article now close to publication and the other essay close to final revision I have a much clearer appreciation as to why this process is so important to serious historical study. For one, the amount of time spent doing serious research on a topic has the potential for creating a very tight psychological hold between author and product. In short, the more time spent, the more difficult it is to maintain an objective or critical perspective on the interpretation. The anonymous reviews really drove home the importance of independent analysis. On one level it is a humbling experience to be reminded of your own analytical limitations. At the same time it became obvious to me that regardless of how much time you spend reading secondary sources and delving through archival material others still somehow know a hell of a lot more and are more creative thinkers. The trick is to see the editorial/peer review process as an integral step in the overall improvement of the interpretation. Congratulations on making it through the process. Not fun, is it? But it is very useful and worth it when it’s over. I look forward to reading your article! 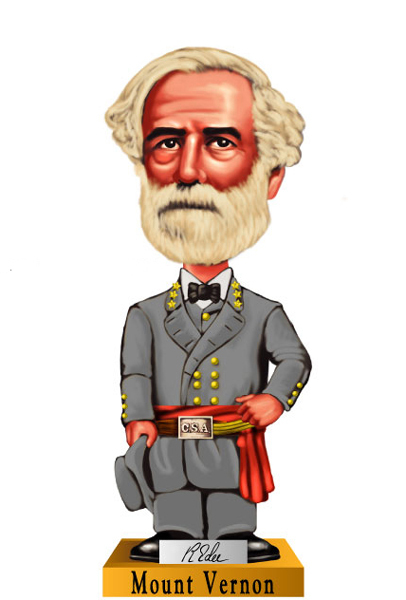 Next post: Would Robert E. Lee Welcome YOU To His Dinner Table?